West Ham United manager Manuel Pellegrini: Daniel Hambury/PA Wire. Chris Wilder will not have been surprised to learn that Manuel Pellegrini, his counterpart at West Ham, is casting flirtatious glances in John Fleck's direction. 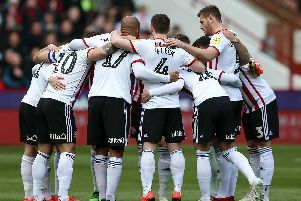 Four weeks ago, as football steeled itself for the inevitable turmoil of the January transfer window, the Sheffield United manager acknowledged good players always attract speculation. And the Scotland international in waiting is certainly one of those. Nevertheless the timing of Pellegrini's interest, given United's position in the Championship table, means it could represent a serious test of their ambition; to either reach the Premier League this season or, worst case scenario, establish themselves as a club others expect to challenge for promotion rather than gifted outsiders with the potential to beat the odds. Assuming, of course, West Ham refuse to let the matter rest and make another approach. On Saturday evening, less than an hour after his side had fought out a compelling draw with Norwich City, Wilder appeared blissfully unaware of the challenge looming large on the horizon. Either, as he discussed a result which had seen them climb to third in the table, only three points behind their latest opponents, the 51-year-old had no inkling United were about to receive an approach for one of their leading names. Or he is as good an actor, with a particular talent for pulling inscrutable poker faces, as he is a coach and manager. But with little over 24 hours remaining before the deadline for new signings, Wilder's employers might face a decision which could shape United's future over the next four months and beyond should Pellegrini choose to revisit the situation. If West Ham's reported valuation of Fleck is correct, there can be only one possible response. The £4m quoted represents a gross under valuation of his talent. Even before you consider he is tied to a long-term deal. It should also send a message to the player and his representative too, if one or both are interested in exploring the possibility of a move to east London, because it hardly suggests the Londoners are convinced of his ability to become a regular starter. The same, of course, can not be said for United where Fleck has become a mainstay of Wilder's midfield. The former Rangers protégé has been good for them, helping to deliver a League One title during his first season in South Yorkshire, but United have been good for Fleck too. Indeed, having been called into his country's senior squad for the first time earlier this season, it is only since arriving at Bramall Lane in July 2016, following a relatively unfulfilling spell with Coventry City, that he has begun to realise the potential which once saw him dubbed the Tartan Army's answer to Wayne Rooney. It has been suggested by some that Paul Coutts' recovery from a fractured leg means United could afford to cash-in and use the money to strengthen elsewhere; possibly on Aston Villa centre-forward Scott Hogan who is a confirmed target. But the reasoning behind this theory is flawed because it would change the dynamic of their team and leave them exposed to injury or suspension. Coutts, the metronome of the side which climbed out of the third tier and went on to challenge for the play-offs last term, dictates tempo. Fleck, despite also boasting an extensive passing repertoire, is much more confrontational. Hence why he has become such an effective foil for Oliver Norwood. Of course, this is not unfamiliar territory for United. Before the present campaign had even begun, while Wilder's squad were sweating themselves into shape during a warm-weather training camp in Portugal, they rejected approaches for defender Jack O'Connell and goalkeeper Simon Moore. It must be acknowledged that standing firm then, and doing so now, has cost implications with agents whose clients attract interest from the top-flight understandably arguing this should be recognised during future contract negotiations. These costs are likely to be borne by whoever wins the battle for control between United's two co-owners, which is set to be decided by the courts in May. There will always be a direct correlation between how Wilder's squad performs and the number of suitors hoping to tempt them elsewhere. But given the possible sporting and PR implications, with so little time to secure a replacement and the way parting company with Fleck now could be perceived in the dressing room, United must think long and hard before taking such a risky gamble if Pellegrini and his paymaster elect to test the water again. Rebutting what could prove the first of several offers by West Ham has at least put them in the driving seat.